There is a map for every day of the fighting, as the operation was very fluid with no set battle lines. 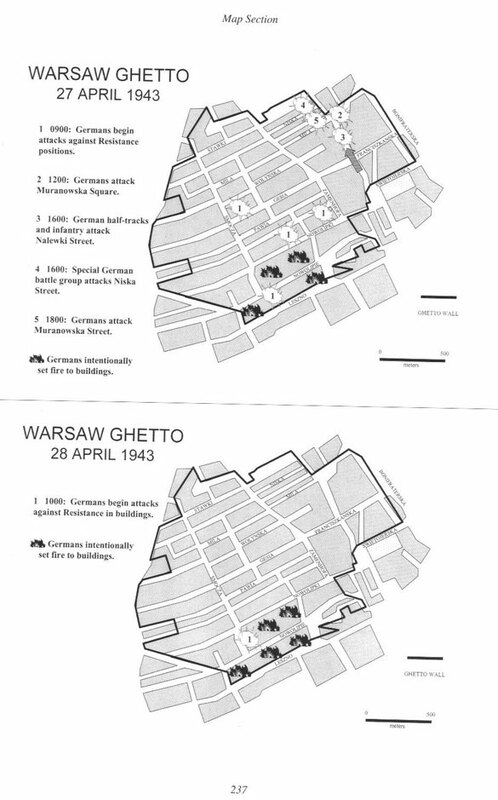 These maps are for April 27 and April 28, 1943. 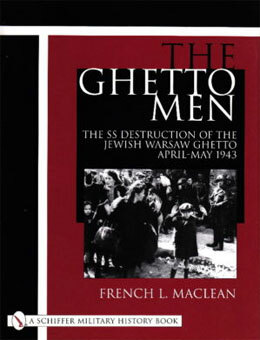 In addition to the points of fighting, the areas of the Ghetto that the Nazis set afire are shown.